Leading Manufacturer of designer ladies dress, fancy ladies dress, ladies dress and stylish ladies dress from Ghaziabad. To net propelling demands and needs of our valued patrons, we are providing a stunning collection of Designer Ladies Dress. Our offered collections of these dresses are knitted using best quality fabric and ultra-modern machines by our highly skilled designers at well-equipped production unit. 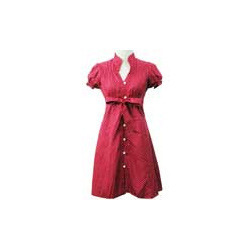 Our offered dresses are widely demanded by the clients for their quality and cost effectiveness. Apart from this, the offered of products clients can be availed in a variety of designs and colors to cater their specific needs. We are offering a fascinating and fashionable collection of Fancy Ladies Dress, which is crafted from optimum quality fabrics. 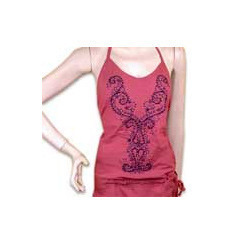 These dresses are designed and developed by keeping track of the latest fashion trends and developments. These products are tested using modern technology under the supervision of our experienced professionals against the industry laid quality standards. Apart from this, the offered range of dress is available in varied colors, sizes and alluring patterns as per the requirements of our prestigious clients. With help of our sophisticated fabrication unit, we come up with an optimum quality grade assortment of Ladies Dress. Our offered dresses are fabricated employing the finest quality fabric that is bought from trustworthy and reliable suppliers of market. This dress is extremely demanded in the market owing to its optimum quality and exceptional finish. To suit the client’s requirements, these dresses can be availed in various sizes and colors. Our valued customers can avail from us a comprehensive array of Stylish Ladies Dress for which, we are well-known supplier. Manufactured in conformation with the modern trends of market, these dresses are highly appreciated across the market by our valued clients. Further, a creative team of our designers, which designs the entire offered range as per the demands and needs of our valued customers to provide an optimum level of satisfaction them.